To be sure, he’s not quite legally in office as president of the Palestinian Authority. He was questionably elected to a four-year term in 2005 and is now completing his eleventh year in that position. With noteworthy frequency, sometimes every few months or so, Abbas has been putting the whole watching world on notice that he has had it, is about to throw in the towel and walk away from the leadership. His reasons are remarkably consistent: Israel’s supposedly ongoing settlement activity and the moribund peace process. It’s all Israel’s fault, Abbas charges, regardless of his assiduous and astute efforts to scuttle every round of negotiations – such as his sidestepping the need to contract agreements with Israel by creating facts in international forums. Needless to say, outfits like the UN or the International Court of Justice – where Israel was never minimally tolerated – are only too eager to embrace Abbas and his shenanigans. Abbas serially refuses to restart the stalled talks yet succeeds in blaming Israel for stymieing the parleys in which he won’t participate. Then incredibly, despite his unconcealed obstructionism, Abbas wails like the wronged underdog and aims to frighten us with the frightening prospect of his departure from our scene. Presumably this should paralyze us with panic. What are we to do without this seemingly irreplaceable fixture in our existence? The very possibility is hair-raising enough to send intelligence analysts – both salaried and self-appointed – into a tizzy of concerted cogitation. The result is their very profound near-unanimous conclusion that “this time” Abbas’s threats carry more credence than previously. It’s a foolproof forecast. The omniscients are right to assert that the likelihood of an Abbas resignation actually increases. However, it should take no shrewd spymaster to realize that ultimately, given the inexorable march of time, Abbas will be out. His advancing years hasten that eventuality. But need we dread the inevitable? Is Abbas truly indispensable? He’s just about as crucial to Israel as scarecrows are to contemporary agriculture. 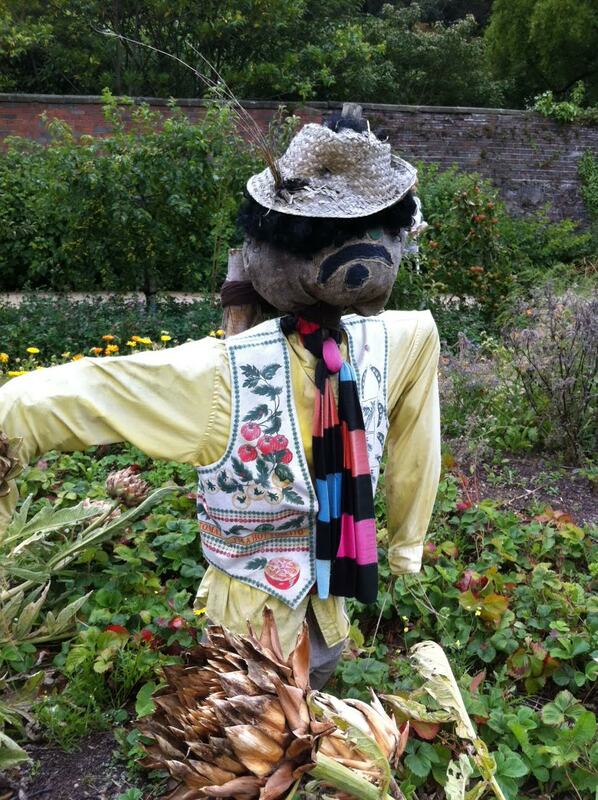 Still, even if they don’t really do the job, scarecrows are big in the ambiance factor. Some, like Abbas, are altogether outright charmers. Like Abbas, they cannot maintain their upright position without outside support but occasionally engaging smiles are scrawled on their faces and their incontrovertible cute-factor makes everyone adore them even when they look like garden-variety grumps. Just hear all that pretentious poppycock spouted at us by world opinion (as ever, resonated shrilly by Israel’s homegrown Left). According to trendy conventional wisdom, the PA’s scarecrow – also chummily referred to as Abu-Mazen – can do no wrong. Simultaneously, the very Israelis who keep him from keeling over can do no right. This is the simplistic sop biased foreigners love to lap up. Abbas was universally lauded for purity of heart and purpose when he first ascended Yasser Arafat’s vacated throne in 2004. Thereafter – especially since 2009, he kept announcing his retirement at almost regular intervals. Each such heads-up unleashed profuse sympathy for the scarecrow and he was piteously beseeched to please reconsider. As per pompous western pundits, the scarecrow shakily ensconced in Ramallah is our last viable hope for peace. Without him the sky is sure to come crashing down. And who instilled all that dejection and gloom in our upstanding scarecrow? Who is responsible for his desperation, for the I-can-go-on-no-longer melancholy? Only one answer exists: intransigent, settlement-building, concord-stifling, conquistador Israel. Is Abbas really righteous? Holocaust-denier Abbas is indisputably a more urbane version of Arafat, with better PR-sense and a closer-shave (not that Arafat in his day wasn’t adulated as the harbinger of optimism and harmony). True, Abbas sings Arafat’s song, but, oh, how much more genteel the rendition! Abbas refrains from Arafat’s in-your-face hysterical chants. He’d never send us to drink from Gaza’s sea nor openly exhort millions to march on Jerusalem. His style is slyer than that. To paraphrase Roberta Flack’s 1973 hit, mild-mannered Abu-Mazen is “killing us softly with his words” – especially if we only pay heed to the English ones. He’s way less easy on politically-correct ears in Arabic, but who’s listening? The international community is loath to pay attention to anything which might clash with its conceited preconceptions. And so Abbas’s repertoire repeats the same reliable old Arafat standbys – back to the 1949 armistice lines, Jerusalem is Arab Palestine’s capital, no anti-terrorist campaign, no end to incitement and no relinquishment of the right to inundate the Jewish state with hostile Arabs. But Abbas does offer some compromise. For instance, while he insists that the Western Wall be placed under exclusive Muslim control, he magnanimously agrees to permit small numbers of Jews to pray at a limited section thereof under conditions stipulated in 1930 by the Mandate’s post-Hebron-massacre Shaw Commission (which forbade the blowing of the shofar). Abu-Mazen pledges to generously allow us to reassume our once-lowly status. Big of him! Who impeded Abbas’s success? In point of fact Abbas didn’t really stand a reasonable chance to begin with. He was pretty much bound to flop. He cannot pull his own public towards an accommodation with Israel and that’s even true for the Ramallah-ruled category, to say nothing of the Gazan renegades. It’s not a matter of conciliatory forces overcoming fanatics. The Arab street consistently, since 1920, seems controlled by an unstoppable self-destruct mechanism compelling it to follow the most extreme available option. Perceived moderates are cravenly defensive and are neutralized to no small measure by their own machinations. They themselves fan the flames of zealotry. Rather than dispute radical narratives, they echo them as means to winning popularity. It all boils down to a contest between run-of-the-mill hardliners and even more unyielding hardliners. No truly painful concessions are even remotely contemplated in Ramallah. No body of opinion dares depart from entrenched revilement of the “Zionist entity.” All defame and demonize Israel. To the extent that variant views exist, they are only cosmetic and superficial. The debate is make-believe, not about substance but about which anti-Israel tactics are preferable and more effective as propaganda ploys. Entirely missing from the Palestinian equation is a peace camp, one which need not embrace Israel – as some Israelis do the Palestinians – but a party which thoroughly reevaluates the regression, damage and suffering that Palestinian-instigated violence had over the generations inflicted upon Palestinian society itself. Such sobering reassessment is primarily in the Palestinian interest – for their own sake and not for the love of us. Sadly, however, it appears that the taboo on sincere reconciliation with Israel as a Jewish state possessing full moral rights to sovereignty in this region is too powerful for any aspiring Palestinian politician to break. Not a word is heard across the Green-Line about genuine unequivocal acceptance of Israel. At most there is reluctant readiness for a limited truce so long as Israel basically capitulates to every last Arab precondition. Abbas is entrapped in his own mendacious rhetoric and in the very uncompromising consensus he actively helps construct. He was therefore even powerless to please Obama by postponing his latest UN extravaganzas. What rendered Abbas so disconsolate? According to the prevalent liberal legend, his spirit was crushed because all settlement growth – the microscopic traces thereof that can still be vaguely detected – wasn’t forthwith frozen for good. Israel’s inability to fulfill his wish obediently, along with Obama’s inability to twist Israel’s arms instantly and excruciatingly, was more than the weary Abbas could withstand. Perhaps Abbas’s travails have less to do with Israel and everything to do with Obama’s egregious misreading of a region that fails to defer to his doctrinaire worldview? Elections in the fundamentally undemocratic Muslim firmament, for example, spell nothing but trouble. In the absence of other requisite attributes of the democratic infrastructure, elections are at best window-dressing but more likely they herald mayhem. When Washington pressured Abbas to hold the 2006 parliamentary election, it set off a disastrous chain-reaction that propelled Hamas to power in Gaza. Hence Abbas couldn’t stand for reelection as he should have on January 2009. He holds office without having been voted in because any PA election is only liable to trigger a power struggle with Hamas that could lose Abbas the remainder of his shrunken jurisdiction. There’s no way the scarecrow which Israel artificially props up as its peace-partner can survive a true test of the will of his own people. In other words, Abbas can claim no mandate to represent anyone. Abbas knows that his sole source of security in Ramallah is the IDF. He cannot endure without Israel yet he cannot appear to be in its debt. He cannot shirk the Hamas threat and he cannot in reality stand up to it. He cannot do without Obama’s embrace although it also breaks his ribs. It’s all pretty disheartening but settlements have nothing to do with Abbas’s bind. Settlements are nothing but his pretext. Is Abbas indispensable? Just about as much as the scarecrow is in the vegetable patch. He doesn’t do much but some gardeners (and Israeli politicians) swear by their handcrafted creation. Most scarecrows, though, offer some whimsical decorative value, which is more than can be said for Abbas. To declare the Ramallah scarecrow a reliable interlocutor is to elevate the synthetic useless relic to the status of a daunting delusion. To offer life-risking concessions to the haggard effigy is nothing but stupid and self-defeating. Abbas is a mummy like the DEAD “peace” process…both are dispensable. Great to have you back dear Sarah !!! Well, Abbas is no Anwar Sadat. Has he ever really made a good effort to get his supporters to accommodate Israel? Honig’s analysis is good but misses and thus obscures the more important point. Honig wrote as follows. But the Muslim public has been indoctrinated since infancy that Islam and its followers will eventually rule the earth. The diktats cannoized in their Qur’an very explicity make that a point and command that is should be accomplished by slaying the Jew and the infidel until the task is accomplished. Again, this is what Muslims from childhood are taught, believe and expect. The orthodox Muslims that practice it and are labeled “terrorists” or some other euphemistic label that lets Islam itself off the hook, when in fact they are carrying out to the letter explicit and very clear religious commands. As in the case of Abbas of who’s analysis Honig points out, the present day Muslim leadership is more sly in their stealth jihad by gradually infiltrating and undermining our civilization and our very thought process itself. Thus detailed analysis of Abbas obscures and side-steps the larger and the only important truth. Islam will not and cannot coexist with civilization. From the perspective of Islam, any instance of rational civilized thought must be eradicated. That is because any instance of the “good” acts as a mirror, a standard by which evil can be recognized and called out. Thus the hatred of the good, the hatred of we Jews. One of the “trolls” in the jpost replies recently complained that my message is always the same. I replied as follows. “Islam will not change, nor survive. And now I shall again repeat myself, as the underlying truth has not, cannot, and will not change. Or on the other hand, perhaps some believe that Nazism can be “reformed” and we can then coexist with it. Then I repeat as follows. The first step to dealing with Islam and its followers is to learn about it and then to educate others. And don’t take your education from the followers of Islam but rather from its critics. People will then step back in horror at the realization of what we have in our midst. Islam and its followers will then become marginalized, and that will be the beginning of the end for Islam and its followers. Yes, al-Aksa needs to be razed. Had our people known the nature of Islam in 1967 (after nearly 1400 years we still have not internalized the nature of Islam and its followers… shame on us), we would have exposed Islam for what it is, say by reading aloud the Qur’an, and started demolitions.